Shift is looking for a creative, inquisitive, passionate and driven Digital Product Designer with at least 3 years experience, to join our innovative and ambitious team and play a central role in the development of new products and services. 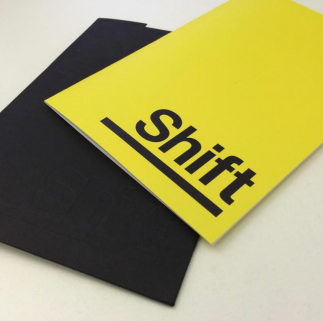 Shift is an award-winning social enterprise that designs products and services which address social problems through behaviour change. By creating things that people need and like, and that can grow to scale as self-sustaining social ventures, we aim to have a measurable, long-term effect on some of the big issues we face. We follow an agile, user-centred research and design process to create products and services that demonstrate social, user and financial value. Shift is looking for a creative, inquisitive, passionate and driven Digital Product Designer with at least 3 years experience, to join our innovative and ambitious team and play a central role in the development of new products and services for both Shift ventures and our partners. The successful candidate will be experienced in supporting internal and partner teams to take new products and services to market through a series of human-centred research, design and testing cycles with a deep specialism in prototype development and testing (incl. digital, physical and service prototypes). Discover and create a digital product to increase social cohesion. You’ll play a core role within a multidisciplinary product team to design a new model for mobilising young people to do a single, meaningful action that contributes to a major national ambition. You will be producing and distributing prototypes and gathering insights to translate into thoughtful product design iterations. This will be your primary project and will take up the majority of your time. A personalised progressive web app (PWA) that overtime improves at matching new parents with high quality information they’ll love. Interviews will take place in mid February.